New gate needs a new sign. 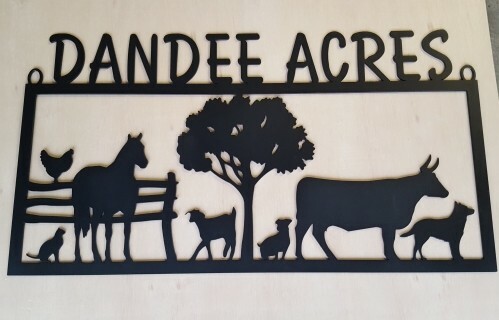 Pin Oak tree is the silhouette for the Oak Crest sign, Cut from 1/8" plate and painted brown. Dandee Acres is located in Tennessee. 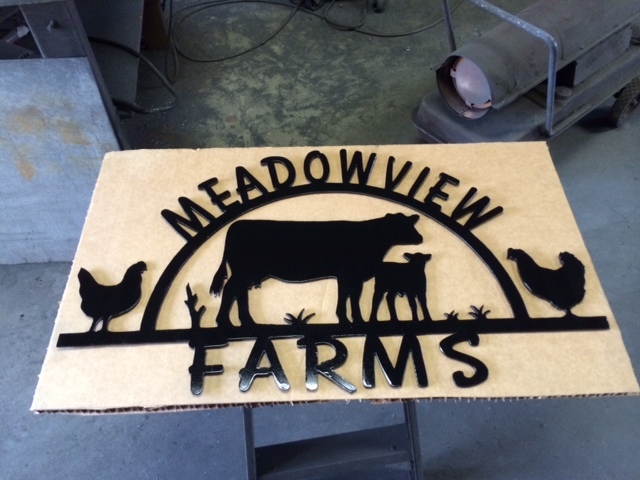 This farm sign was cut from 3/16" steel, sand blasted and finished with a black finish that will last many years. Here is a unique sign for a customer that might like bikes. He was kind enough to remember to send a picture after he hung it in front of his entrance.